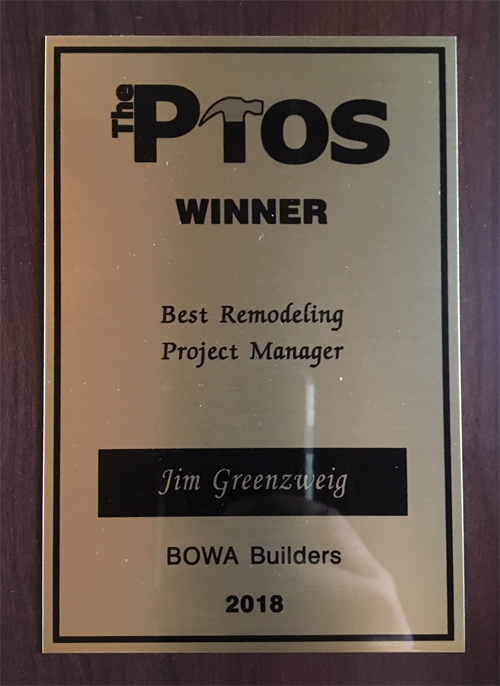 BOWA would like to congratulate our two nominees and winners of the 2018 PROS Awards! 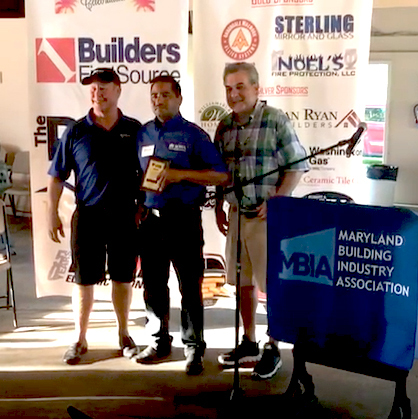 The 2018 PROS Awards, sponsored by the Maryland Building Industry Association, recognize the dedication and hard work of customer service managers, project managers and superintendents who go above and beyond in all aspects of residential construction. Nominees were submitted by their employers and judged on their accomplishments in the 2017 calendar year, construction knowledge, focus on quality, scope of work and relationship with customers. Winne rs were announced at MBIA’s End of Summer Picnic held September 6, 2018 at Smokey Glen Farms in Gaithersburg, MD. Please join us in congratulating the incredible achievements of Fredy and Jim, as well as all of the PROS Awards winners in the DC Metro Area.